Happy Sunday! My post is delayed today because I forgot to write it up last night and hit the publish button. I actually woke up at 2am and remembered I forgot to do it. Since I was exhausted and half awake, I just rolled over and said to myself I would wake up early and do it in the morning. Well, it's morning, I didn't wake up early, and the post is late. Ooops. At least I'm getting a post up. What I really wanted to get up today was my Halloween Nail Art wheel, but it is still a work in progress. I think I have 3 nails done on it. I was going to work on it last night but I got side tracked with my manicure for Twinsie Tuesday that took longer than expected. It's awesome though so it was worth it! Today I am sharing with you a fun animal print design I did after I saw this manicure by @properly_polished on Instagram. 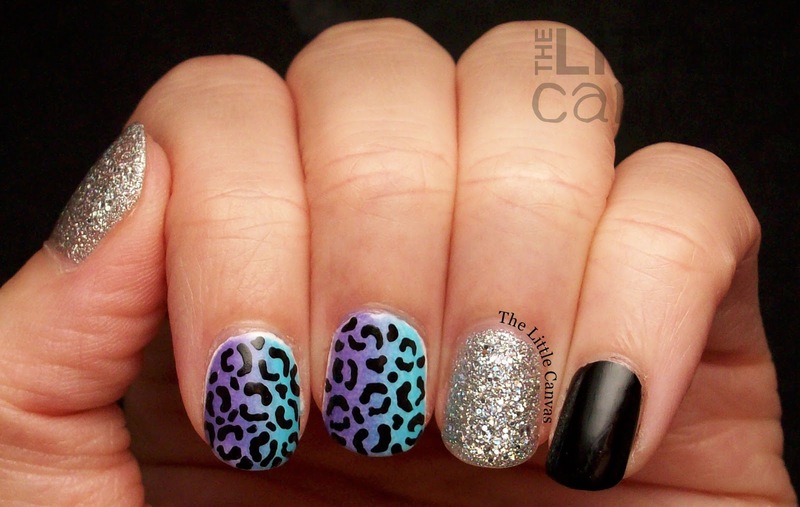 Remember the other week when I said animal prints + gradients = awesome? Yeah, well, this manicure is awesome! One of my favorites! 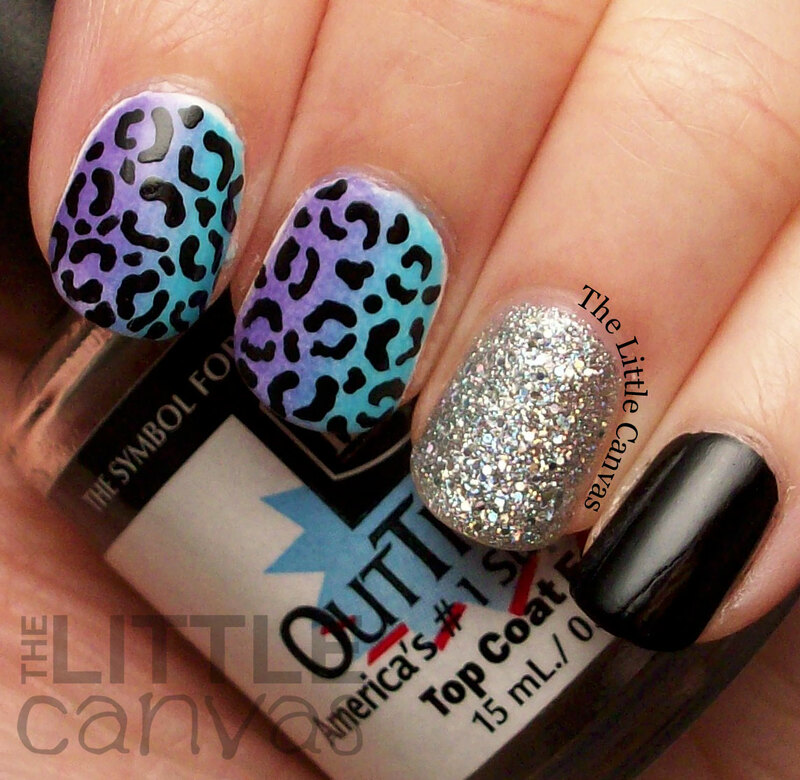 Love love love this manicure. I think my favorite part is the side to side gradient. Nine times out of ten, I typically do the gradient starting at the cuticle and going down to the tip. I don't think I've ever done one this way and I am very upset with myself that I haven't done this sooner! Brighella to Capacity to See Byeond are gorgeous together and blend perfectly on the nail! While I love my animal print nails, I have to say, the silver sparkly one is the highlight of this manicure. Usually I put a top coat of OPI In True Stefani Fashion over This Crown Needs a Gown, but I wanted something more sparkly. That's where DimePiece comes in to play. This polish is so glitter packed filled with holo pieces. Everyone must have it in their collection! Notice I didn't add any sparkles to the rest of the manicure? Despite desperately wanting to, I controlled myself from adding Northern Lights to the gradient. While it would have blended perfectly with that sparkly accent, it would have made that plain black nail look a little weird. As I've been told frequently this past week, "You cannot put Northern Lights over everything!!" This manicure is proof that I don't have to! What do you think? Liking the look? Isn't it awesome!? Jack O'Lantern Nail Art Tutorial = Times Two! Bestie Twin Nails with Fashion Footing!